Daniel: "Music. I listen to a lot of 60s and 70s rock-n-roll music and it really inspires who I am." 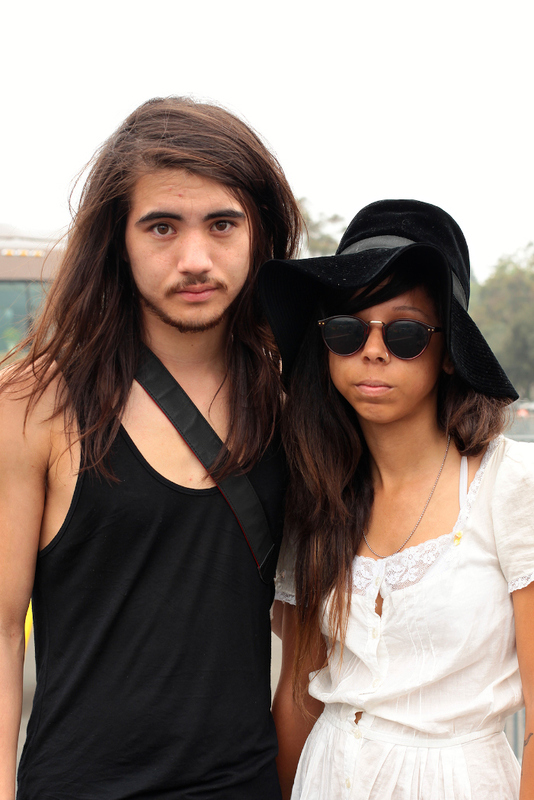 Gorgeous, young, and seemingly wrested away from the set of Almost Famous. I especially like Johnique's hat and dress. A very lovely couple indeed. 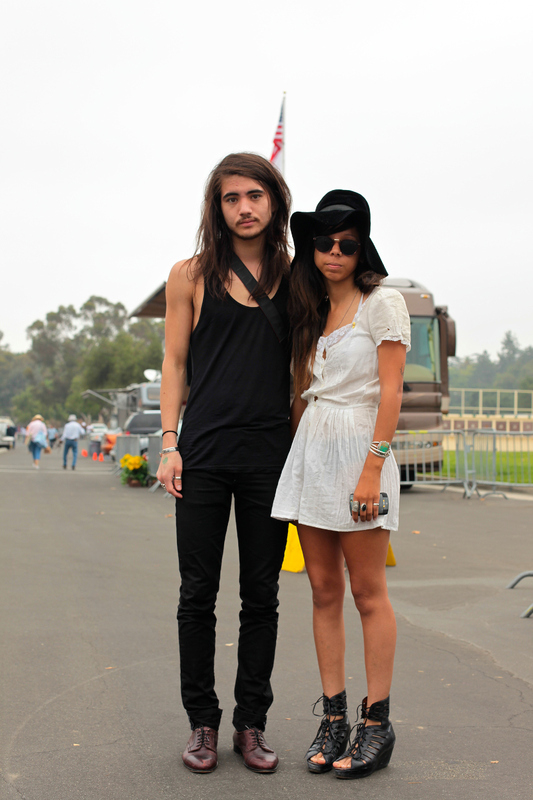 A look at his oxfords and her cool Acne sandals. The cast of Almost Famous.